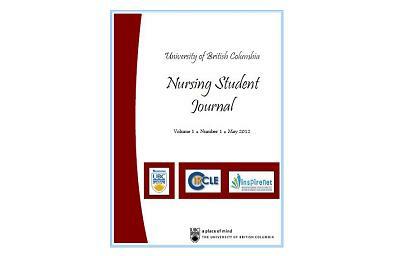 On 4 May 2012, the first issue of the University of British Columbia nursing student journal (UBC-NSJ) was made available in cIRcle, UBC’s Digital Repository! With contributions from the faculty and graduate students in the School of Nursing, this nursing student journal “serve[s] as a medium to explore and analyze our practice in order to address diverse challenges of our healthcare system”, as stated in part by the UBC-NSJ Editorial Committee. Right from the Director’s opening letter to a faculty interview with UBC Professor John Oliffe to a nursing student’s perspective from Jodi Meacher and more, you can learn how UBC nursing researchers are continually increasing UBC’s research value and scholarly impact in the nursing practice arena. To see and/or download the full UBC-NSJ journal in cIRcle, click the link provided here: https://circle.ubc.ca/handle/2429/42286. You can also see and/or download the individual journal article titles under the “Browse – This Collection” section (then click on “Titles”) at: https://circle.ubc.ca/handle/2429/41792.